You might as well drop what you're doing and listen to We Made It Home, because it's hands-down one of the best albums of 2013. It's not just the duet's obvious chemistry, though that never hurts. Recently married, the two highly respected musicians released We Made It Home together. The pair have an incredible emotional and musical range. 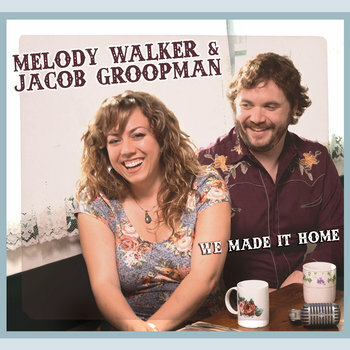 "We Made It Home" conveys the joy of the couple's journey. Meanwhile, "Billy the Champ" is about a chimp in Melody's local zoo (for real.) Groopman's everyman voice is raucous "Come On Mule" digs deep into his personal country roots. The real standout is "Black Grace," a (secular) gospel song that is 500% guaranteed to make the hairs on your arms stand up. Thanksgiving came a day early. You're welcome. Now get on this, people.